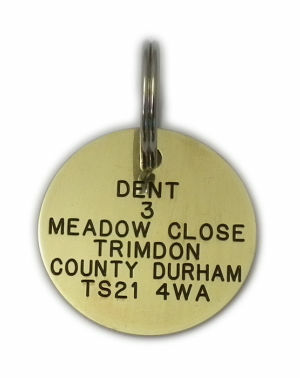 33mm (1.3") Diameter solid brass dog tag. High quality durable brass pet tag, 1.5mm thick. 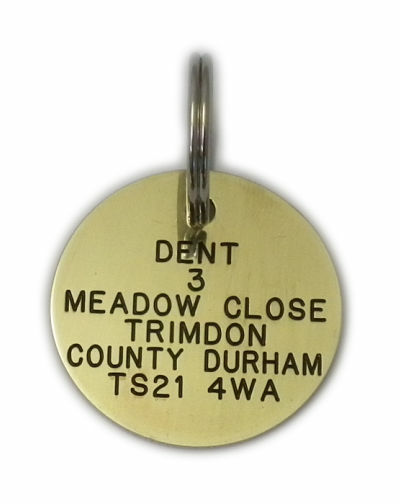 Deep engraved on both sides with your pets details, name, address and telephone number or any other information you require. Engraving is permanently infilled with black paint to produce a sharp contrast. 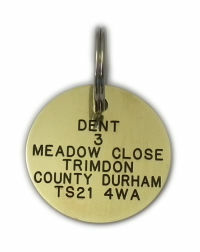 Each pet tag is supplied with UK manufactured split ring. Dispatched to your home or place of work address.